I recently came across a comment (can’t recall where) that it’s wrong to binge on TV series now that we can get whole seasons on disk. The art form is designed to be watched and appreciated in installments and watching many episodes back to back prevents absorbing each one individually. I do see the point, but personally I like to immerse myself in these prolonged narratives – and in fact I can’t even imagine how frustrating it would be to have to wait a week between episodes of Lost or 24; I don’t watch cable or broadcast TV, but when I find a show that interests me, I like nothing better than watching an entire season over a single weekend, pretty much every waking hour lived inside the show’s world. It’s analogous to reading a Dickens or Wilkie Collins novel, all of which were originally published episodically, with people waiting eagerly for the next installment – but we look at them now as single, coherent entities, and that’s how I tend to watch TV shows. The other evening I watched all six episodes of the BBC’s The Fades (2010). While it’s not as good as earlier Brit series like Joe Ahearn’s Ultraviolet (vampires, 1998) and Apparitions (demons, 2008), and Stephen Volk’s Afterlife (ghosts, 2005), it has enough of the classic ingredients of this kind of self-contained British series to maintain interest to the end despite some awkward moments and unfortunately cheesy/silly effects. Ian De Caestecker is Paul, a socially inept schoolboy with a disdainful twin sister, Anna (Lily Loveless), and a frequently irritating best friend, Mac (Daniel Kaluuya). 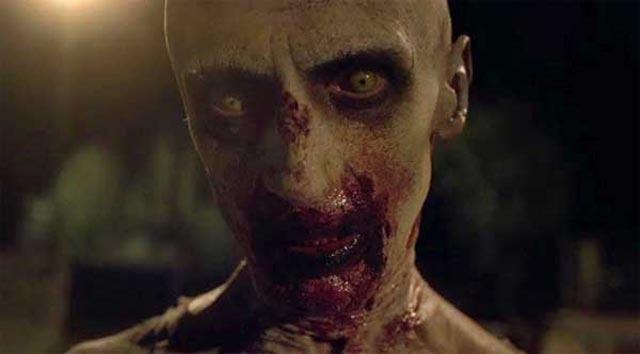 Not surprisingly, after witnessing some strange events at an abandoned shopping centre, Paul discovers that he’s “special” – in fact, he’s apparently a powerful Angelic, one of a motley group whose task is to manage souls who have failed to “ascend” and are now trapped on Earth. He learns all this just as something momentous is beginning to happen. The six-episode series follows the classic lines of the boy hero discovering his powers, going through various crises of self-doubt before figuring out his place in the cosmos and setting things right – well almost right, as the series annoyingly ends with portents of a sequel. 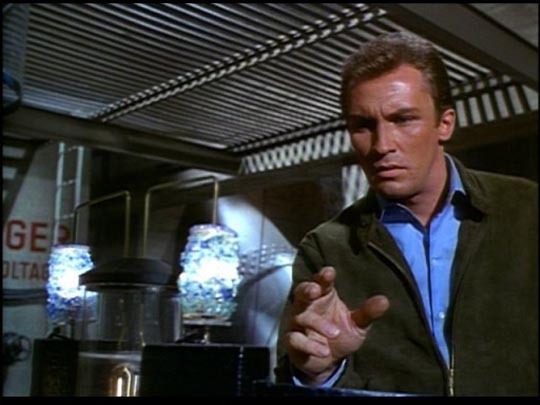 This year, I also got around to finishing both seasons of The Invaders (1967-68), Larry Cohen’s alien-invasion ode to ’60s political paranoia. 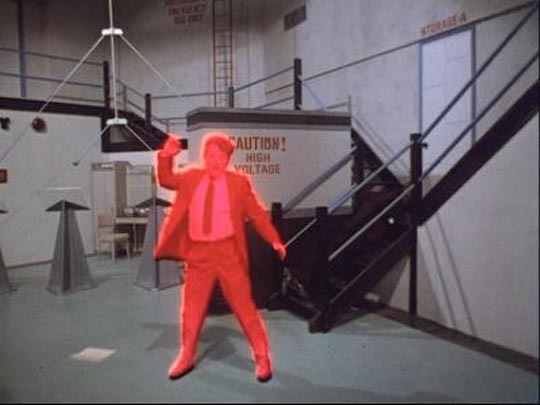 I actually didn’t like this show when it first aired in my long-ago adolescence because there just didn’t seem to be enough science fiction in it – you might occasionally get a moment with a UFO in an episode, but the only overt fantasy element was the glowing-red disintegration of the aliens when they were killed. The rest seemed kind of dull and talky. Looking at it now, more than forty years later, I fully appreciated the paranoid fantasy of the lone man who sees a global threat and can’t get anyone to believe him; as he appears increasingly insane to the people around him, he is of course becoming irrational, even deranged. 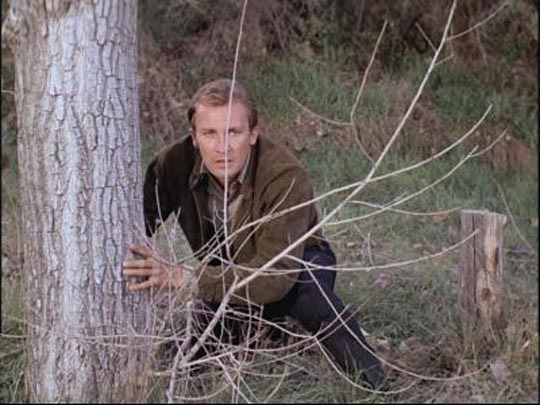 Roy Thinnes, who starred as “architect David Vincent”, mentions his disappointment in one of the sets’ extras that in the second season the story arc was built around the gathering of a band of allies who form a kind of resistance force that gradually turns the tide against the aliens … but it’s hard to see how the series could have sustained a second season in which he remained the lone voice crying in the wilderness. What really struck me re-watching the series is how much it owed to The Outer Limits (1963-65, one of my old favourites) in style and tone. Although The Invaders does have something like an overall narrative arc, the episodes are mostly self-contained. 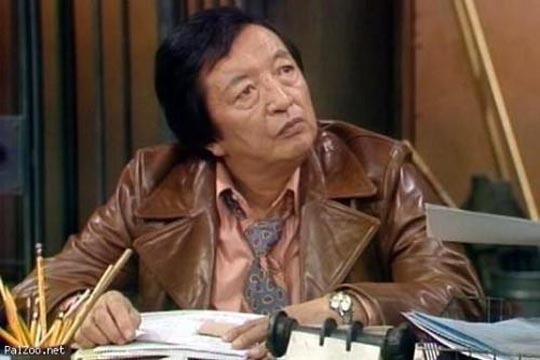 I suppose it’s a bit harder to justify binge-viewing of a genuinely episodic series, yet among other things this year I’ve watched a couple of complete ’70s shows, Barney Miller (1974-82, taking about six months for the eight seasons) and The Sweeney (1975-78, three weeks for all four series), which take two completely different approaches to television cops. 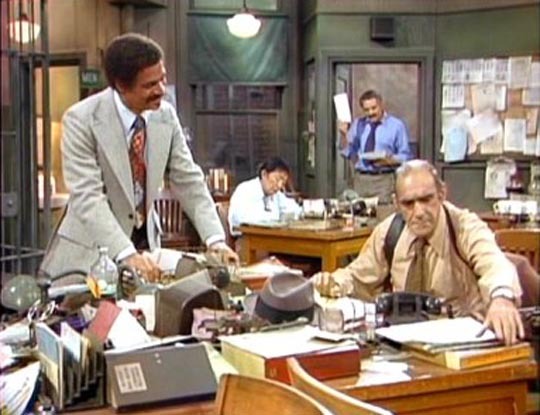 Barney Miller, created by Danny Arnold and Theodore J. Flicker, remains one of the finest workplace comedies ever produced by American television. After an uneven first half season when it tried to be more conventional by splitting time between police captain Miller’s work and home lives, it finally found its footing by ditching the sit-com home and concentrating on the squad room. Running for eight years, most of the shows took place in two realistically run-down, grimy rooms where the fluctuating cast of cop characters and the perps and victims they had to deal with gave the show’s makers an opportunity to illuminate and comment on the shifting political and cultural scene over the decade that followed Watergate and the end of the Vietnam war. 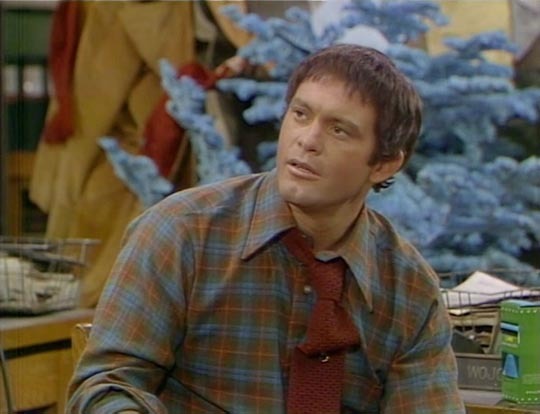 Although the police milieu gave the show a kind of conservative stability, the storylines often had a left-liberal slant, including an increasing awareness of the gender shifts resulting from feminism and a growing acceptance of homosexuality. But none of this came across as pushing an agenda because the show had a terrific and varied cast of skilled comedic actors and writers who were gifted at both verbal and physical comedy and textured character development. There were on-going arcs – conservative black detective Harris’ fluctuating experience with racial attitudes and his struggle with fame resulting from a book he wrote about the squad; detective sergeant Fish facing retirement; detective Wojciehowicz’s conflicted attitudes towards social change and issues about relationships and sexuality – but like most sit-coms, the show offered the satisfactions of repetition and variation, the rituals of watching characters going through familiar situations again and again, but gradually growing and shifting in the process. 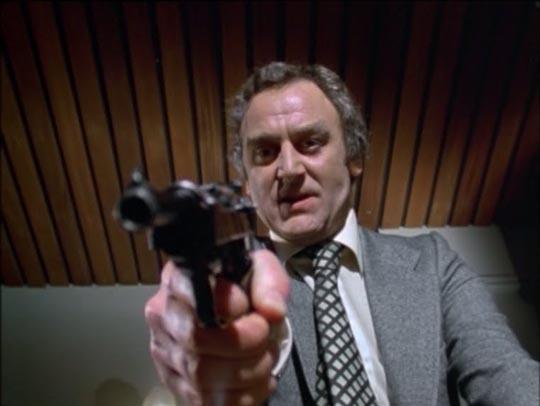 The Sweeney, created by Ian Kennedy Martin, was very different. This show shook up British television in a number of ways. Gritty and violent in ways which previous cop shows (Z Cars, Dixon of Dock Green, et al.) had never been, it also shifted the mode of production of the time; shot on film, largely on location, it looked more like movies than television, emphasizing speed and action over stagy dialogue scenes. 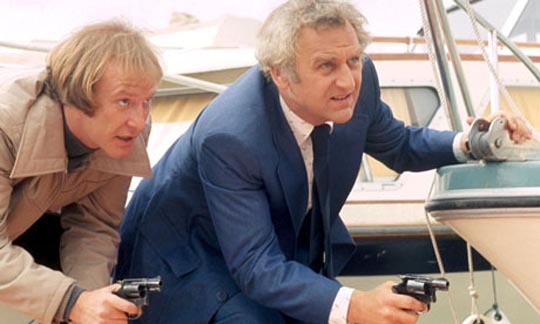 The show had an energy which seemed shocking at the time (and there was definitely criticism of its violence, the depiction of British police running around with guns, getting into fire-fights), but it attracted talented writers, directors and actors – everyone wanted to get a shot at working with John Thaw (Inspector Regan) and Dennis Waterman (Sergeant Carter). Although long-running series often just peter out as audiences drift away, both Barney Miller and The Sweeney provided satisfying endings, a sense of completion. In the comedy, the precinct building is sold off and the squad is scattered across the city to new assignments, a bittersweet recognition of how life has a tendency to run a certain course and then move on, carrying individuals with it. 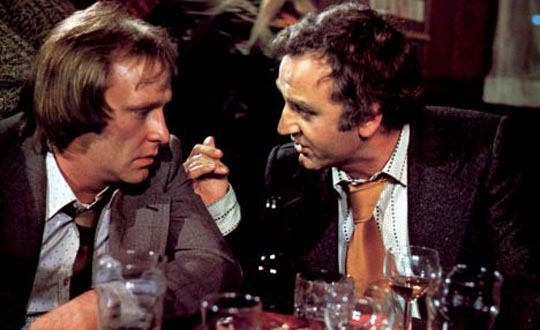 On The Sweeney, Regan’s refusal to play strictly by the rules eventually comes back to bite him; the final arc of the fourth season sees him under investigation for criminal conduct as part of a vendetta by an old rival. Although the charges are unjustified and eventually dismissed, Regan bitterly rejects reinstatement because he feels that his years of fighting, and fighting well, on the front lines have counted for nothing with his superiors. 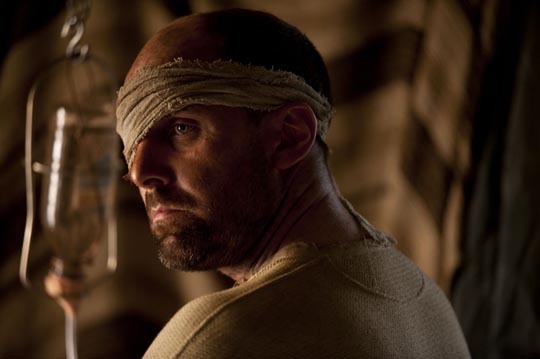 In the bleak last moments of the final episode, he walks away from the job which has defined his identity for years, no longer knowing who he is or what his role might be. This entry was posted in Commentary, Review and tagged British Television, Cop Shows, Review, Science Fiction, Television. Bookmark the permalink.